How can reference management tools help me? Which reference management tool should I use? Reference management is the act of keeping track of the sources of information you have used or want to use for your work. Doing this systematically in an organised way will help you make the most of your time, making it easier to get to your sources and to create your references and bibliographies more effectively and efficiently. There are many online tools available to help with managing your references. These are especially useful for longer pieces of work (e.g. your dissertation) where you may want to use a larger number of references. Keep a note of the sources you use as you use them. Look at the reference management tools Teesside University supports and which reference style you should use. 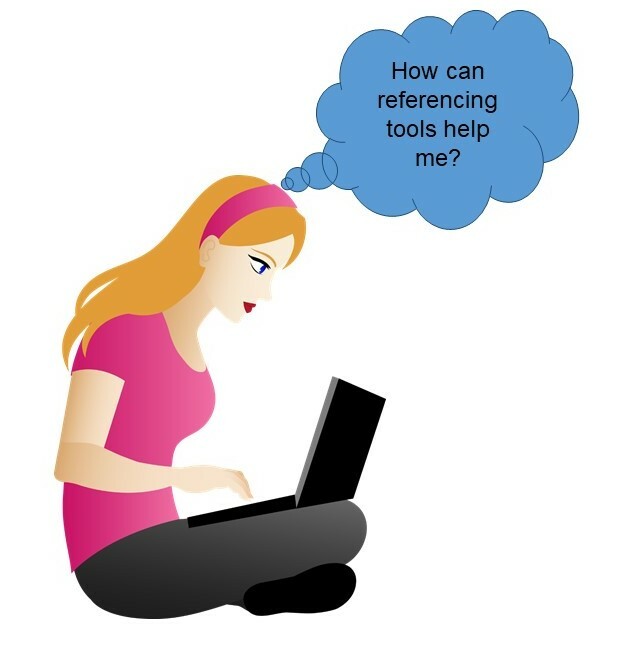 Learn how to reference correctly so you can check the references are correct. Organise your references into folders in a manner that suits you - consider by keywords, themes etc. You still need to have learnt why referencing is necessary and how to reference in the required style for your School. There are many different tools available, so how do you know which one is the best for you? Each tool has their own features, strengths and weaknesses. Cost - are there any tools that you have access to free of charge as a member of Teesside University? Teesside University provides every student with free access to RefWorks and to a basic version of Endnote Online. Help - are there any tools that the Library provides support for? Teesside University librarians can help you learn how to use RefWorks - book a one-to-one tutorial or attend a Succeed@Tees workshop. Accuracy of referencing style - does the tool provide the citation / referencing style you need to use? Teesside University School referencing styles are available in RefWorks. (Remember to still check through your bibliography as some editing may be required). What types of resources do you want to store / reference? In-text citation facility: can the tool help with creating in-text citations? Most have have this facility to link from word -processing software to create in-text citations while you write up your work. Check the comparison table (next tab) for further information. If you would like to discuss the options available please email libraryhelp@tees.ac.uk who will put you in contact with an appropriate person to advise you. Free basic online version available via the subscription to the database Web of Science. Is there an online / mobile / desktop version? Can I send references directly from online databases? EndNote online allows direct export from EBSCO databases and Web of Science. 'Capture reference' bookmarklet tool allows some export but often this is incomplete. Is support / help available? Student and Library Services offers training and support. Student and Library Services offers training and support for EndNote Desktop. Good for the social network component. Two interfaces (web and desktop / standalone) are very different.